Test / Demo Lab | Black Bros.
That’s why when Black Bros. develops a machine in their factory, they send it out to the field where it is subjected to the conditions that it was designed for – and we encourage you to do the same. When you need the right coating and laminating equipment to test your methods and/or materials, Black Bros. is committed to helping you achieve results through developing your process, and potential products, in their Testing & Demonstration Facility. Black Bros. has a 9,500 square-foot testing area just 90 minutes west of Chicago, where you can determine what works best for your company. Whether you’re a customer, prospect, or material supplier, Black Bros. offers you an array of solutions from their fully equipped lab. 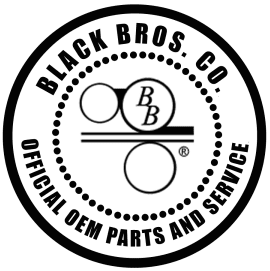 The Black Bros. laboratory maintains a broad selection of modern production machines and support equipment. 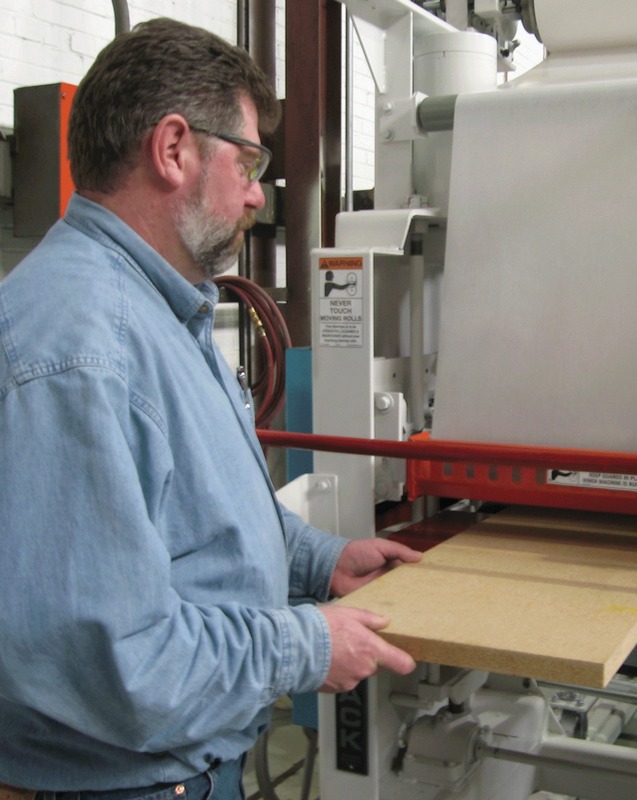 This facility is available to help you test your potential processes, develop product(s), and demonstrate the capabilities that Black Bros. coating and laminating machines can bring to your factory floor. Black Bros. invites you to take advantage of this valuable R & D resource. Black Bros. has a wide selection of unique applicator rolls with various groovings, coverings, and hardness durometers, to meet a wide range of glue spreading and coating requirements. They also have developed a good selection of engraved doctor rolls for precision coating applications. Additionally, Black Bros. offers a variety of ovens and supporting equipment that demonstrates their full industrial process capability. We recommend the use of a gram scale throughout the day – at least twice daily – once in the morning and once in the afternoon. This helps ensure that you are applying the correct coating amount for your process. Call your Regional Sales Associate well in advance of your desired test date for an appointment. Or use the link/button in the upper right corner of this page to send us an inquiry to start the process (we will notify your Regional Sales Associate for you). Complete the Lab Materials Disclosure Agreement (electronic form to the upper right of this page), and print off the .pdf to send along with the materials. We also suggest you keep a copy for your records (you can save an e-copy by filing the .pdf). Make sure you send all the necessary SDS (MSDS) forms along with the sample products. substrate materials (consult Lab Manager for available widths). We may also ask you to send some small Finished Samples showing the product before and after processing for our preliminary evaluation. We know that you may want to be present as we process your materials, which is the surest way you’ll know if the results meet your criteria. A personal meeting is also the best way to maximize your relationship with Black Bros., and to leverage our knowledge about industrial coating, laminating, and machinery. 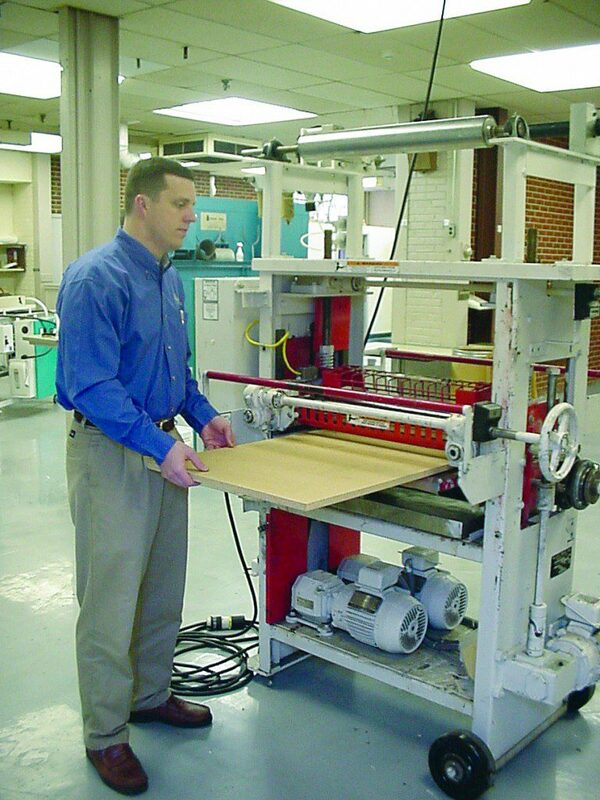 At Black Bros., we assist our customers in attaining new ideas, technologies, and processes. We use a systematic approach, and offer suggestions and trials that should fit comfortably with the daily situations that you face. First, our knowledgeable sales engineers and technicians work closely with you to carefully review the specific application, material and specifications that you require. Next, we conduct in-house tests using lab and production machinery to simulate real-world conditions. Only then are machinery and system recommendations made from our vast array of proven designs, controls and optional equipment. We invite you to come see for yourself – our service and support is second to none. Not only do we offer ongoing training seminars for your operators and maintenance personnel. All Black Bros. machinery is backed by our strategically located Sales and Service Centers, providing fast, responsive support in the field. Call us now at 800-252-2568 or request a test to secure a convenient spot for you in our lab schedule.